My home is small and there are not a lot of kitchen cupboards. My husband is over 6 foot and with 8 foot ceilings, a ceiling rack was not an option. I ended up hanging my baskets and pans on the walls. 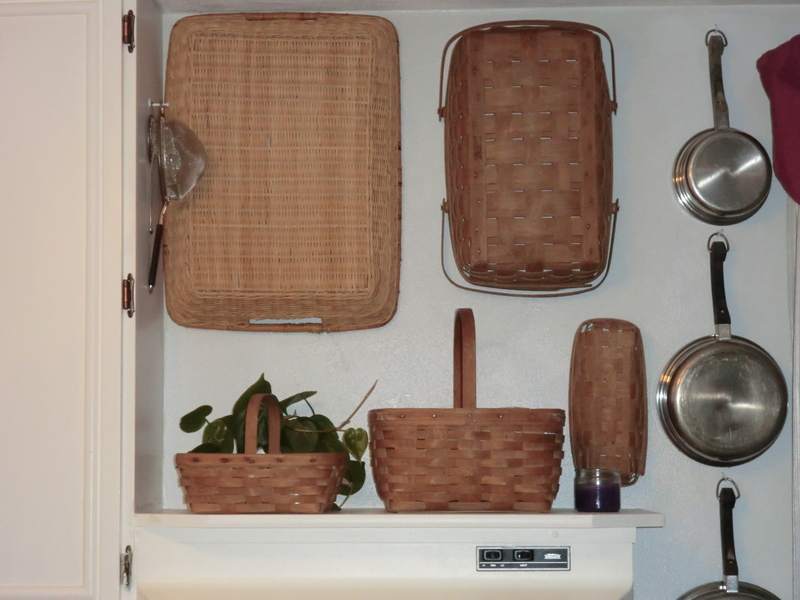 There is a double purpose here, as it is a north wall and the baskets add a layer of insulation. Hang your baskets and pans on the wall. This entry was posted in Decorating, Energy Efficiency, Use What You Have and tagged Decorating, Energy Efficiency, Use What You Have by Frugal Fish. Bookmark the permalink.